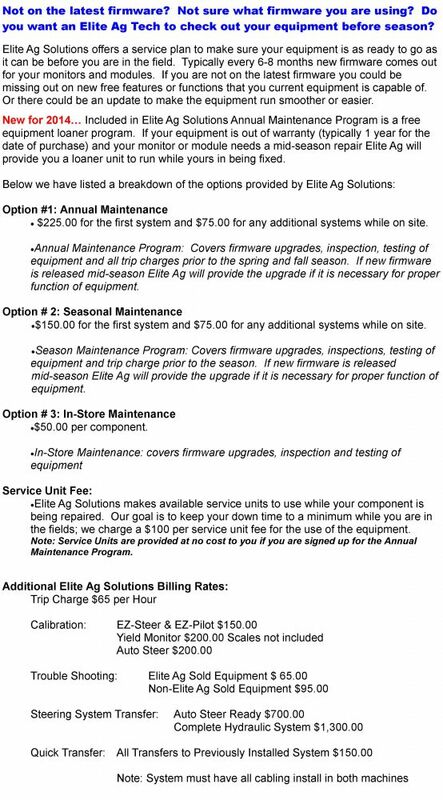 Elite Ag Solutions understands the importance of service and support behind our products. With over 30 years of experience in agriculture electronics we provide the knowledge you need to get the most out of your investment. Our service technicians can make sure you are ready for the field before the field is ready for you and get you back up and running in-season if problems arise with your technology equipment.